Includes moisture management technology that acts as the second stage in moister movement away from skin. Incorporates quick drying characteristics fro rapid evaporation, keeping you dry and comfortable. Includes anti-microbial properties that inhibit bacterial growth, which keeps the fabric fresh and provides odour control. Flat Seam stitching thought. 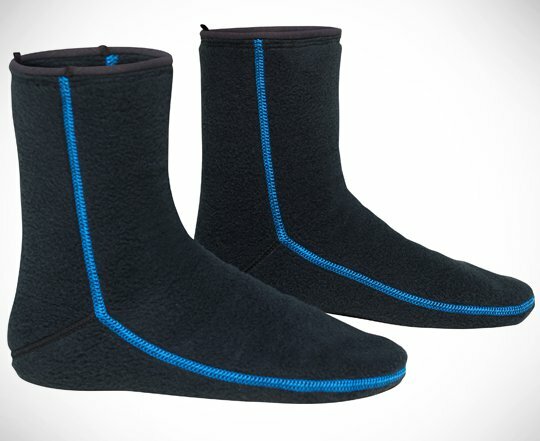 The SB System Mid Layer Boots offer the unique stretch breathable and compression resistant made from polyester/spandex anit-microbial fleece to keep odours at bay.